The geocaching community allows locals to venture out and experience new environments. Why mushroom hunting is a popular hobby throughout Ohio. One family of beekeepers has enjoyed its hobby even in a challenging time for bees. 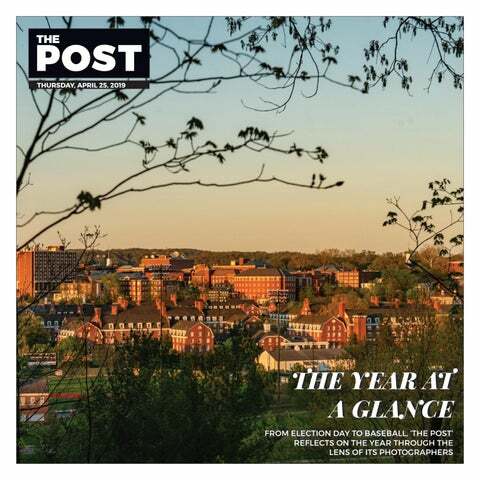 The Post takes a step outside Athens to explore and celebrate what the region has to offer. Several Athens residents share their personal experiences as members of the biker subculture. College students are spending an average of four hours and 25 minutes on their phones every day, and some have mixed opinions on the effects of phone use. Planning for this year’s $45 million city budget began as far back as June. Reflect on the Ohio’s basketball teams’ seasons so far — and look forward to the rest of the year. Nine biopics hold nearly 35 percent of the the nominations at the 91st Academy Awards. Allegations of sexual assault and misconduct faced by OU alumni Matt Lauer and Roger Ailes are continuing to spark important conversations surrounding sexual violence and harassment survivors. There’s a reason people still go crazy when they hear Fall Out Boy at a bar. Three black women came to OU and found friends in a predominantly white institution. This is their story. The hotel stood in the current place of Court Street Diner.